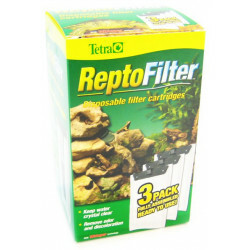 Welcome to the Reptile Filter Cartridges superstore! 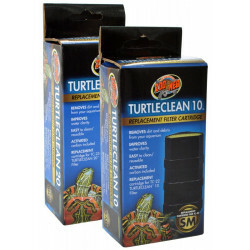 Filtering the water in your aquatic turtle, frog or newt's habitat is a crucial part of keeping your pet's home clean, healthy and hygienic. 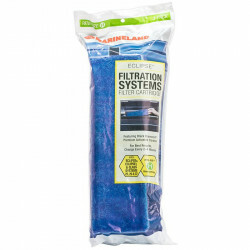 Active filtration provides several benefits, beyond just removing debris, contaminants and toxins; moving the water through the filter provides necessary circulation, preventing the water from becoming stagnant, and helps to keep the water well aerated with healthy oxygen. 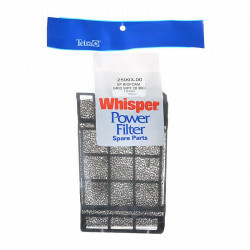 Filter cartridges create mechanical filtration by providing a surface for the distribution of activated carbon. 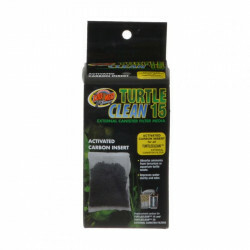 Carbon is very effective at trapping and removing suspended waste, debris and contaminants in your terrarium water. 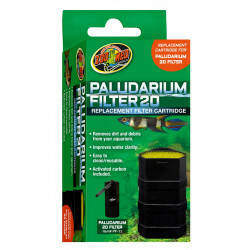 Fresh cartridges are crucial to the proper running of your filter, as they are free of accumulated debris and can filter at optimum efficiency. Pet Mountain's Reptile Filter Cartridges store features top quality products from some of the most trusted names in reptile care and terrarium filtration equipment, including Marineland, Tetrafauna, Zoo Med, Lee's and more. 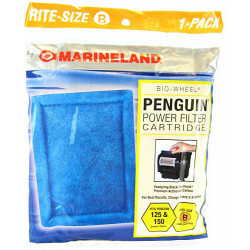 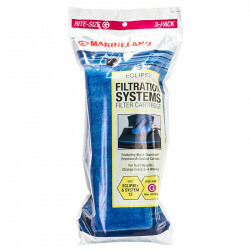 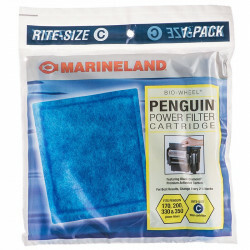 The Marineland C Rite-Size Cartridge fits inside the Penguin Power Filters. 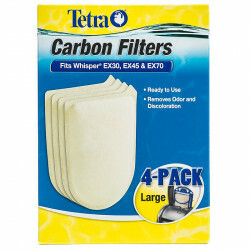 Inside the filter cartridge a patented ribbed backing ensures the even distribution of activated carbon to deliver maximum water-to-carbon contact. 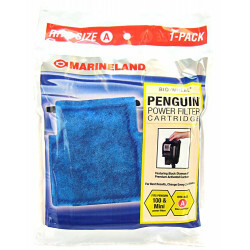 There is no "tea bag" effect, no water bypass as with loose or bagged methods. 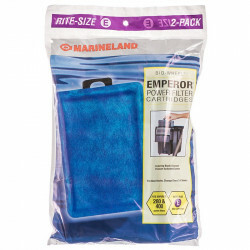 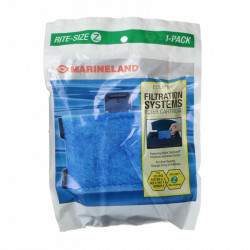 The Marineland E Rite-Size Cartridge fits Emperor power filters. 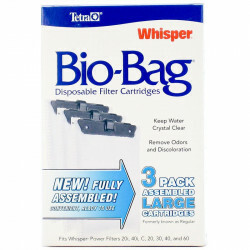 These cartridges are designed to meet the absolute highest standards of water purification performance and operational ease. 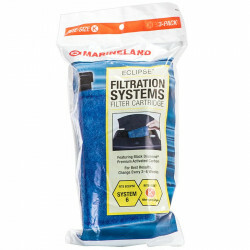 Debris and waste particles are trapped, and water is chemically filtered through Marineland's Black Diamond Premium Activated Carbon. 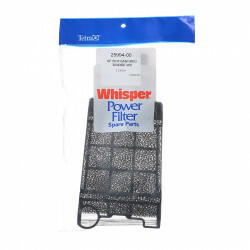 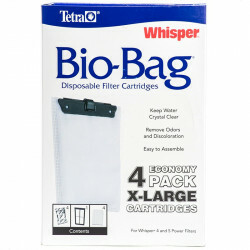 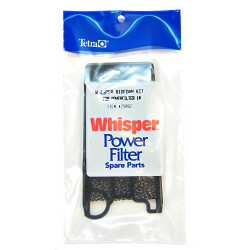 Tetra Whisper Bio-Bag Disposable Filter Cartridges complete the Whisper Power Filter package for a clean, easy-to-maintain aquarium. 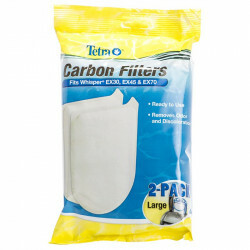 Filled with Ultra-Activated carbon, the ready-to-use disposable single packs remove waste particles, odors and discoloration, and are easily changed once a month.